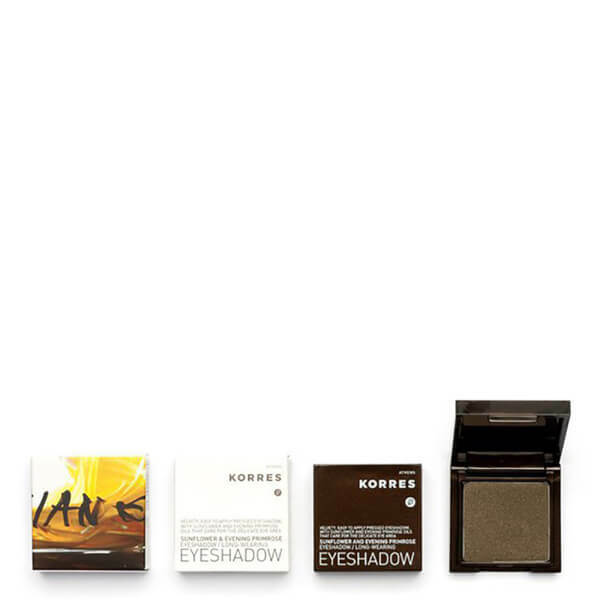 Add radiant shimmer to your eyes with the KORRES Colour Shimmering Eyeshadow. Fortified with a blend of gentle sunflower oil and corallina extract, the glittering shadow packs evenly onto the lid, creating an intense, illuminating film with brilliant stay-ability. Flexible and buildable, its micronized waxes and pearlescent pigments create perfect, professional looks every time. Perfect for intensifying your peepers. - K.N.